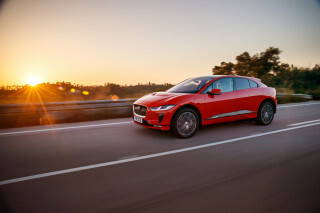 Quite a few automakers were scrambling to build electric cars to meet increasing demand from California and other states, to earn ZEV credits, and to give their Corporate Average Fuel Economy numbers a booster shot. 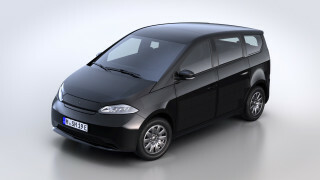 Most were small hatchbacks, and had relatively short ranges of around 100 miles. They tried hard not to cost too much more than conventional cars, but largely relied on federal tax credits to make them competitive. 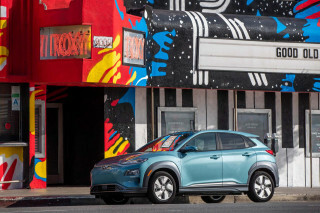 Some automakers, such as Nissan with its Leaf and Chevrolet with its Bolt EV did a fine job of making sure the cars were widely available at dealerships across the country for buyers who wanted them. Then there was Tesla, which built unapologetically expensive, high-performance electric cars with long ranges, and sold them mostly online. 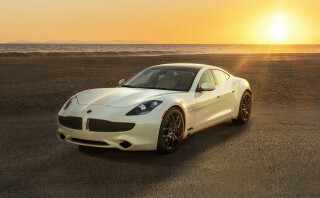 With the long-awaited release of the base, $35,000 Tesla Model 3 and the more expensive, longer-range Nissan Leaf Plus both arriving this month, the two have now converged—and functionally have more in common than their reputations might suggest. 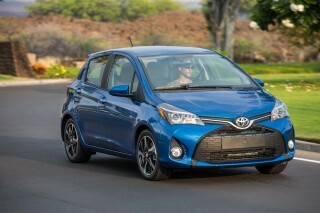 We took a close look at the two cars, their prices, and features to see which one gives you more for your money. For now, it seems enough to look at these two newest converging competitors. The Chevrolet Bolt EV fits the bill as well, but we'll take another look at how it stacks up later. 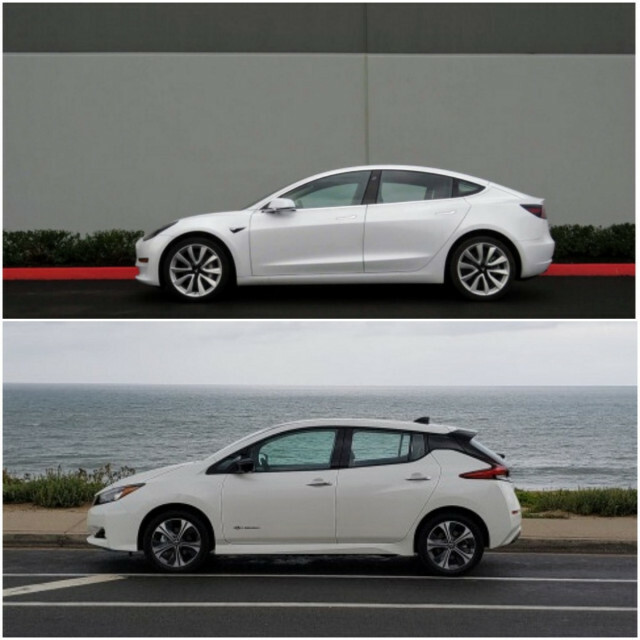 This comparison will consider the Leaf Plus and Model 3 from the standpoints of their ranges, which have been well publicized, and will pay special attention to advanced driver safety aids—offered both as part of Tesla's Autopilot system and Nissan's ProPilot Assist—and interior niceties such as heated seats and steering wheel, leatherette upholstery, navigation, and wireless phone chargers. Those are the kinds of features that set models apart in less obvious ways. 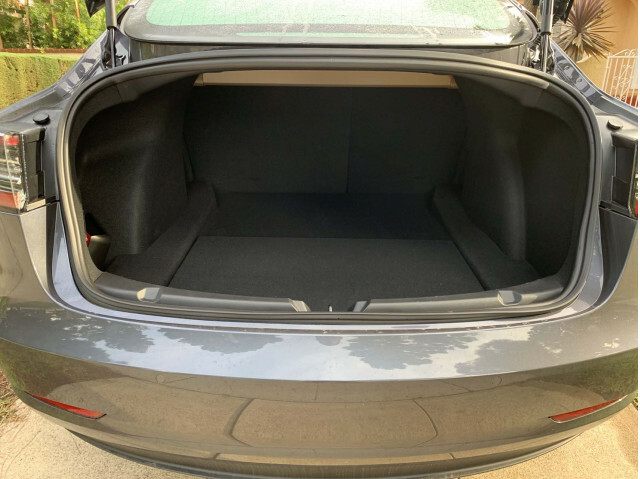 Of course, the Model 3 is a sporty sedan, with twin trunks, front and rear, while the Leaf is a versatile hatchback. 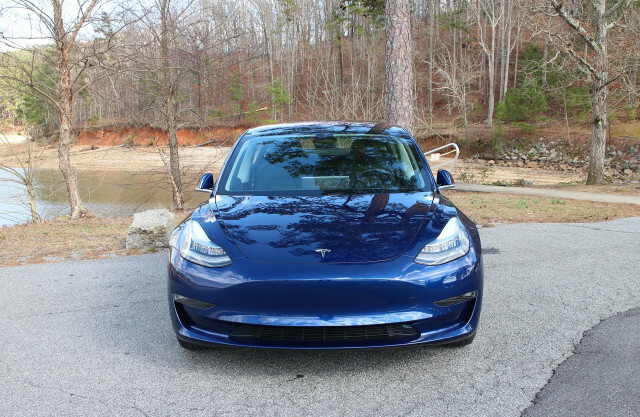 The base Short Range Model 3 starts out with 220 miles of range, versus 226 miles in the basic Leaf Plus S. Which one buyers prefer may be subjective, so we won't pass judgment on their formats. The Tesla also has access to the company's nationwide network of Superchargers that make it easy for drivers to make most cross-country trips. Similar networks for the Leaf are spotty and not yet fully developed. 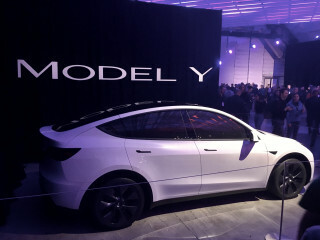 That may be reason enough for many buyers to choose a Tesla. 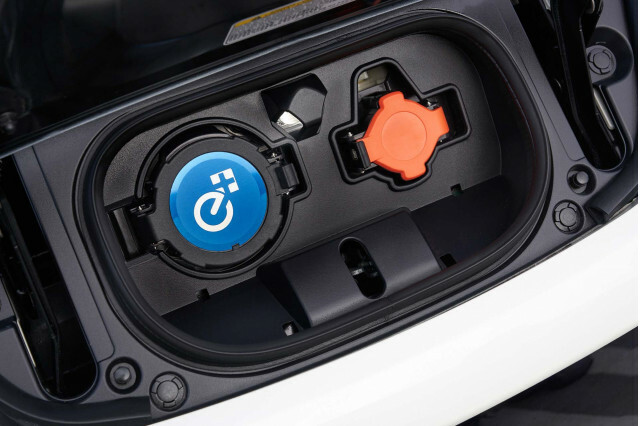 The Leaf Plus S starts at $37,445 and is eligible for the full $7,500 federal tax credit at least through Sept. 1 (and probably longer). 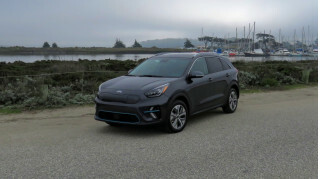 That can bring the effective price down to $29,945 for eligible buyers—the only car on our list available below $30,000. 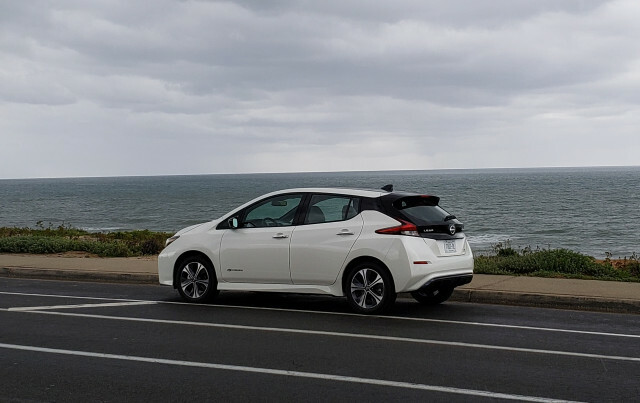 In addition to a boost to 62 kilowatt hours of battery with 226 miles of range, the Leaf Plus gets 57 more horsepower than the standard Leaf, for a total of 215 hp. 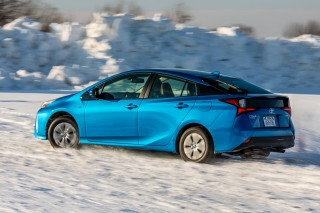 It comes with automatic emergency braking and automatic climate control, but not much else. 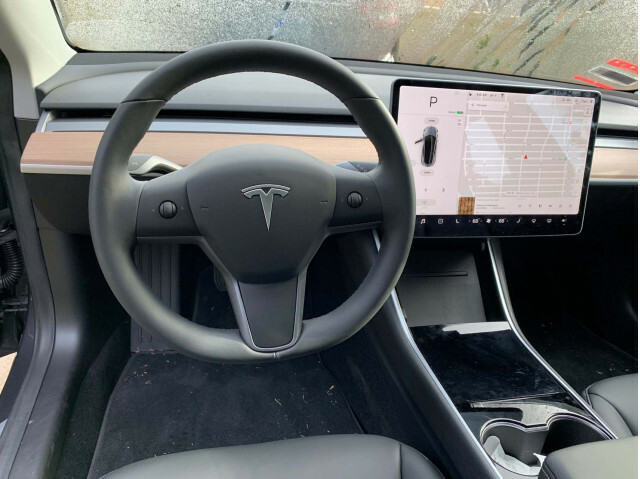 It does offer a few nice features that the Tesla Model 3 lacks: Apple CarPlay and Android Auto, which greatly simplify using apps on your phone such as navigation, contacts, and even receiving and responding to text messages. Leaf Plus S buyers can also opt for heated front seats for $450, which aren't available on the base Model 3. 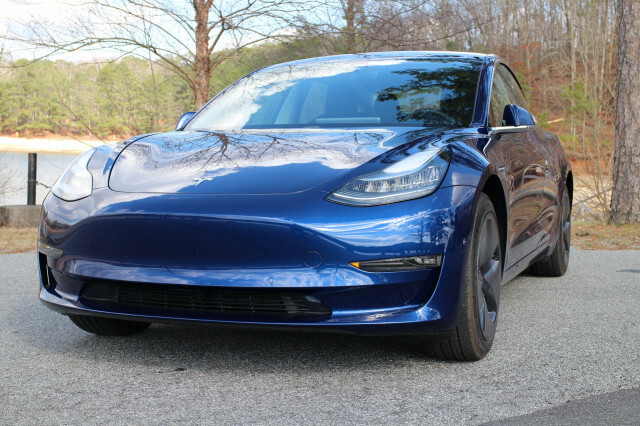 The Model 3 famously starts at $35,000, which translates to $36,200 after Tesla’s hefty delivery charge. 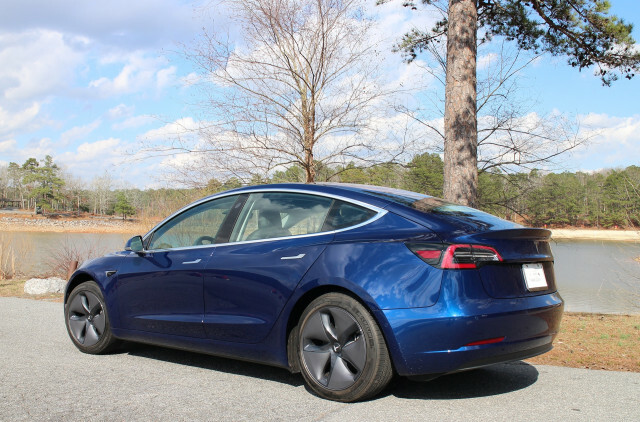 Tesla’s federal tax credit has dropped to $3,750 and is scheduled to drop to $1,875 on July 1, meaning the cheapest you can pick up a Model 3 is $34,350, or about $4,400 more than a Leaf Plus S.
The base Model 3 reportedly has 271 horsepower and can accelerate from 0-60 mph in 5.6 seconds, significantly faster than any Leaf. 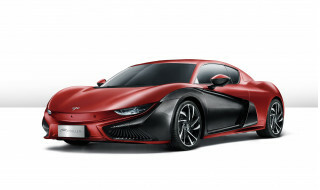 It also comes with automatic emergency braking and adds standard blind-spot monitoring, which Leaf buyers would have to opt for a Plus SV to get, and then order the SV’s $1,800 technology package, for a total additional outlay of $3,750. 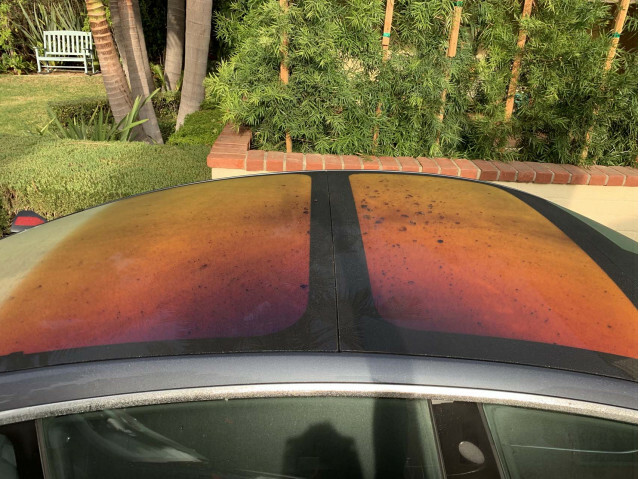 All Model 3s also include a glass roof, which would require a $6,000 upgrade to an SL on a Leaf Plus. The Leaf SL (Plus or not) has a smaller, conventional power-opening moonroof, so it’s not exactly the same. 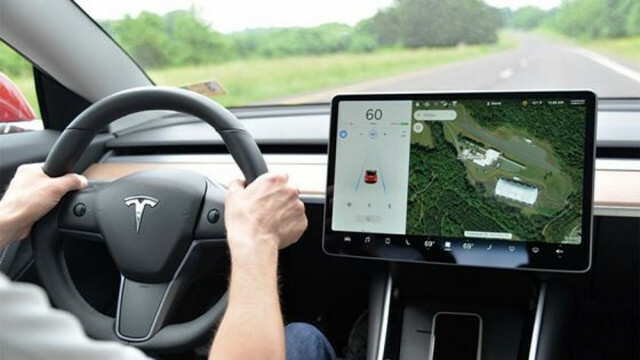 Even base Model 3 drivers can opt for Tesla’s Autopilot feature, which includes radar-guided adaptive cruise control as well as automatic lane control, for an extra $3,000. 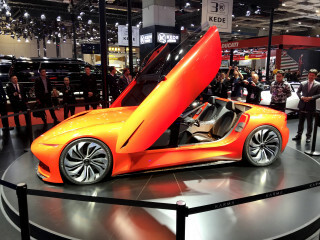 And they can pre-pay for Tesla’s expected future Full Self Driving Capability for an extra $5,000. 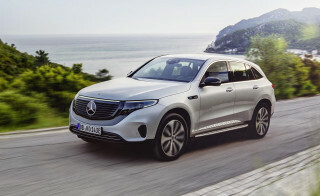 The Full Self-Driving Capability includes on-ramp to off-ramp Navigate on Autopilot and, rolling out now, Enhanced Summon which will allow the cars to drive around parking lots and park themselves or return to pick up the driver. With Autopilot, the base price of a Model 3 would rise to $41,200, just $5 less than a Leaf Plus SV with Nissan’s ProPilot Assist, which includes the same features—if you forget about the lack of heated seats at that price in a standard Leaf Plus SV. All of that comes before considering tax credits. 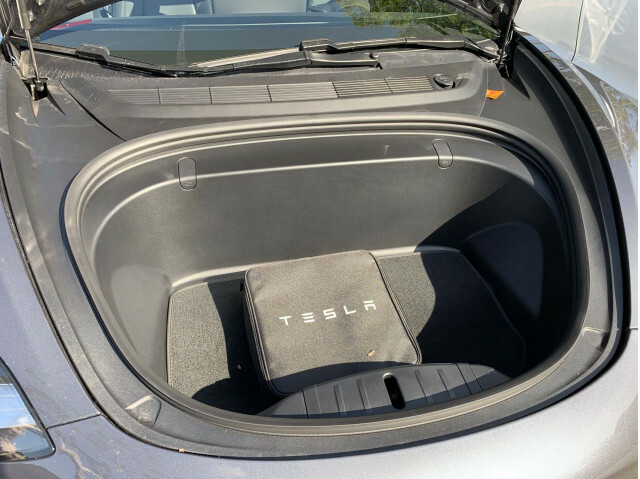 Considering Tesla’s lower tax credit, the $5,645 extra cost for the Model 3 would more than cover the $900 cost of the Leaf SV’s all-weather package with heated front and rear seats. 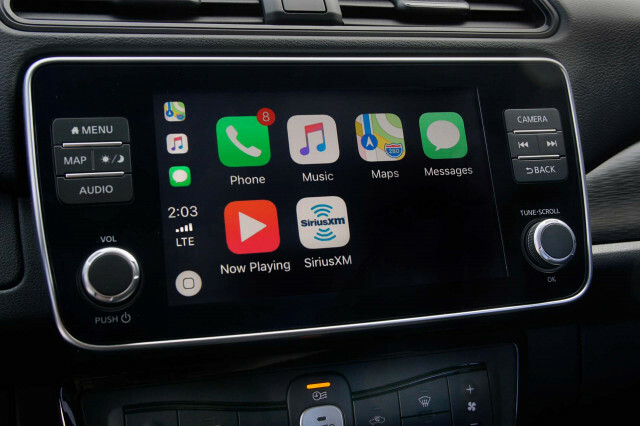 Perhaps the choice comes down to the value buyers put on CarPlay or Android Auto and available heated seats, versus a built-in navigation system, a glass roof, and extra power—and on how much of a tax credit they can qualify for. 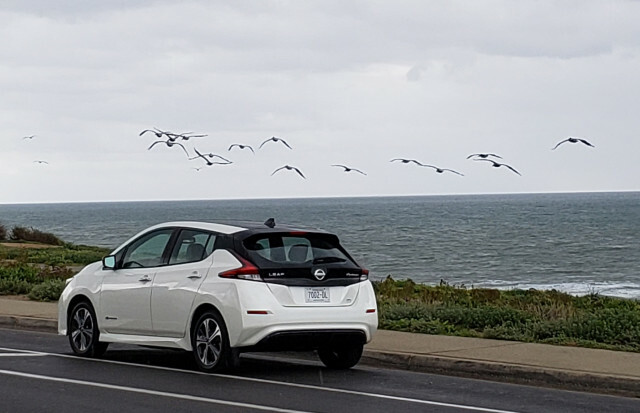 For an additional $1,960 the Leaf Plus SV offers buyers a standard navigation system, as well as the ability to include heated front and rear seats and a heated steering wheel as part of the Leaf Plus SV’s $900 All-Weather Package. 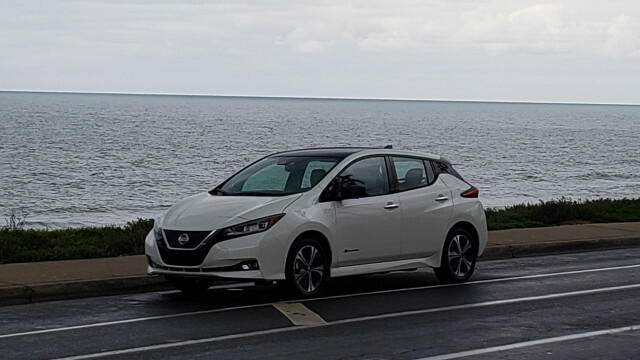 Unlike the mid-level Tesla, the Leaf Plus SV loses 11 miles of range because of its heavier equipment level, for a total of 215 miles. All-in Leaf Plus SV buyers can spend $41,205, $1,895 more than an upgraded Tesla Model 3 Plus—without Autopilot. 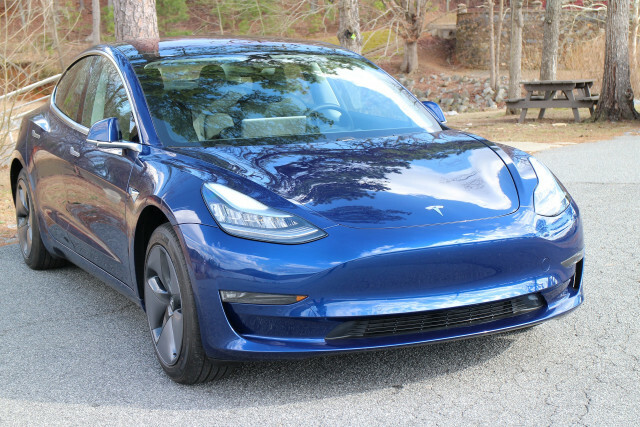 The Model 3 Plus adds 20 more miles of range, for a total of 240, as well as leatherette seats, and steering wheel; power, heated front seats, wireless charging for two phones, and an upgraded nine-speaker stereo system for an extra $3,110. Buyers who want Autopilot still have to spend an extra $3,000 to get it, which would boost the price of the Model 3 Plus to $42,310, higher than any version of the Nissan Leaf SV Plus. 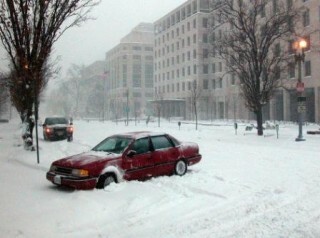 Advantage? It's a near toss-up. 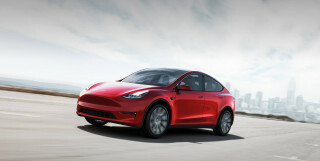 For EV buyers who want some creature comforts such as built-in navigation, the mid-trim Model 3 and Leaf Plus are an almost equivalent value, and the choice could come down to whether you want to support Tesla’s dedicated electric-car vision or are more comfortable buying an EV from an established automaker with a track record for reliability and customer service. Also, how much you value the extra 25 miles of range in the Model 3 Standard Range Plus. 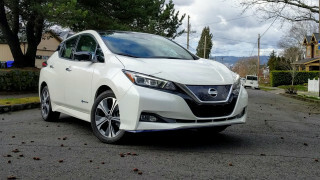 If, however, automated driving aids such as adaptive cruise control, and automatic lane guidance are important to you, Nissan offers them for less—with the caveat that Nissan’s lane guidance is hobbled to force drivers to pay attention, so you can’t just take your eyes off the road as some drivers do with Teslas. For $43,445, $4,000 more than the Leaf Plus SV, the Leaf Plus SL includes all the SV’s optional equipment, and adds leather upholstery, a moonroof, and a premium stereo that you can’t get in an SV. 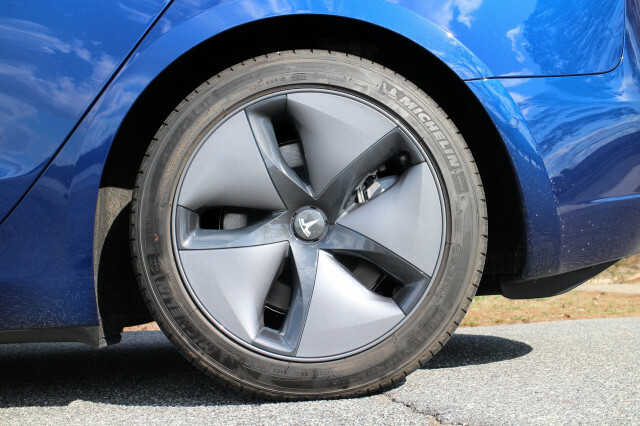 The top trim levels of the Tesla Model 3 offer some things that no Leaf can match: all-wheel drive, and acceleration from 0-60 mph in 3.2 seconds for Performance models. They also cost up to almost $71,000, or almost twice the price of a base Leaf, so we’ll ignore those for this comparison. From a practical standpoint, more mundane non-Performance Long Range Model 3s can go 325 miles on a charge, unlike any Leaf. 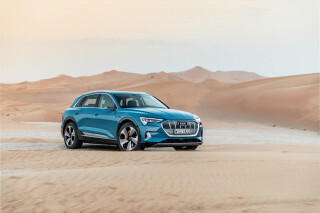 The Long Range model also offers Tesla’s Full Premium interior, which includes a 14-speaker premium stereo, maps with satellite view and live traffic, and Tune-In streaming radio, features that you can’t get in any Leaf. 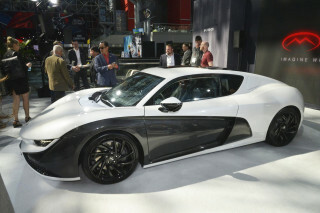 All that sells for $42,400, but it still doesn’t include any sort of Autopilot or full-self driving mode. For those, you still have to add another $3,000 and $5,000, respectively. 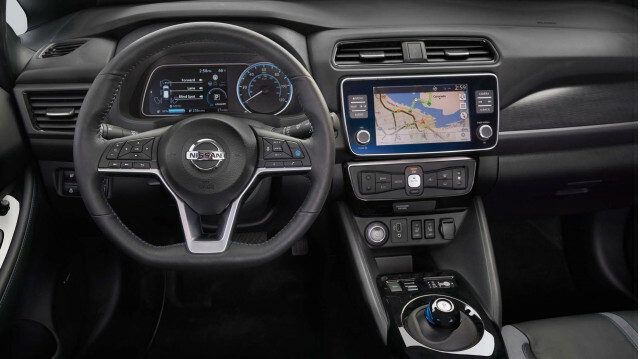 Nissan’s Pro Pilot Assist is available on a $41,205 Leaf Plus, though it isn’t as capable as Tesla’s Autopilot system. Not only that, but buyers will have to pony up another, $1,500 to $2,500 for any Model 3 if they want it in any color other than basic Henry Ford black. 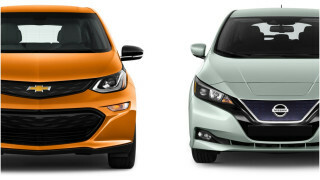 Advantage: Nissan—unless you really need the Tesla's longer range. 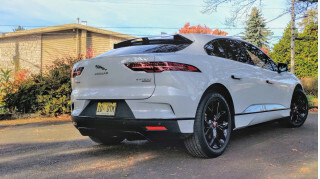 Surprisingly, given Tesla’s reputation for selling high-performance, high-lux machines, Tesla's advantage here is in base cars. 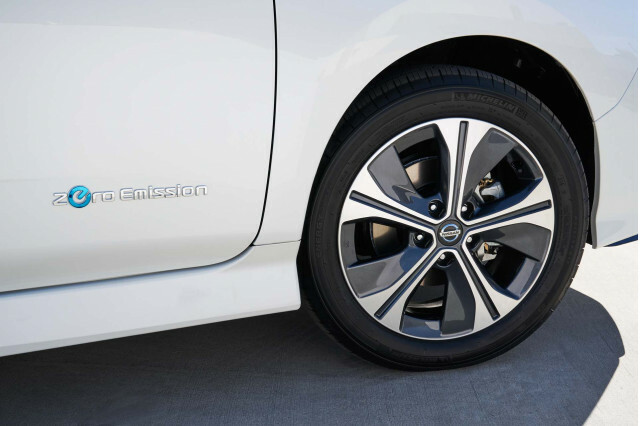 If you want all the handy extra features (other than extra range), you can get them for a lot less in the Nissan Leaf Plus SL—especially while Nissan retains its full federal tax credit for the next several months.